Shyloh Belnap: Today on Good Things Utah! 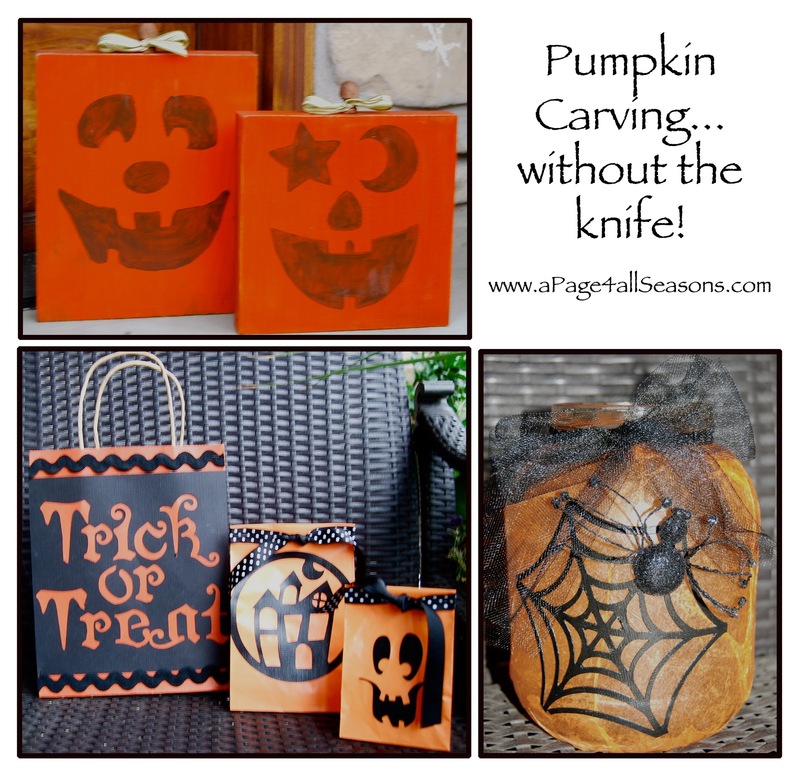 Pumpkin Carving without the Knife! Today on Good Things Utah! Pumpkin Carving without the Knife! Pumpkin Carving Fun...without the knife! Find a fun sized jar at the grocery store. Mine was for pickles, you wouldn’t believe how many pickles I have in my fridge right now! 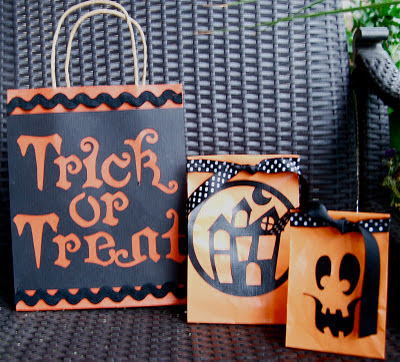 Mod Podge the tissue paper to the pumpkin. I liked to mod podge it on “sloppy”, I think it added more texture to the jar. 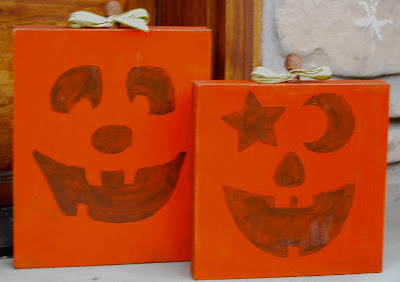 Put a coat of mod podge over the tissue paper as well. 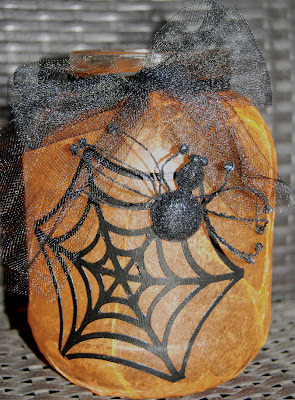 Cut the spider web design from the cricut cartridge (or hand cut a design on your own) from black cardstock and adhere to the jar with mod podge. 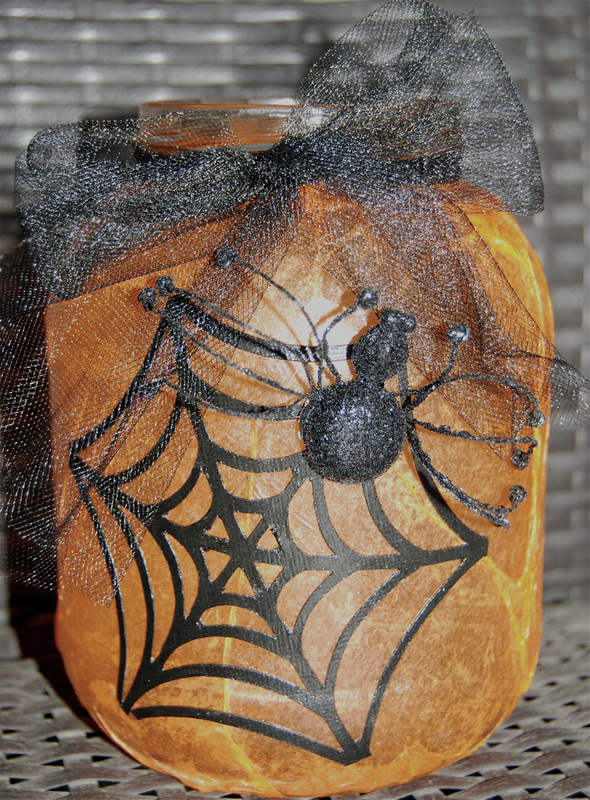 Add ribbon or tulle as desired and attach spider with a glue dot! Sand Lightly to remove the “hairs” from the wood. You could also sand the edges to add more of a distressed look. 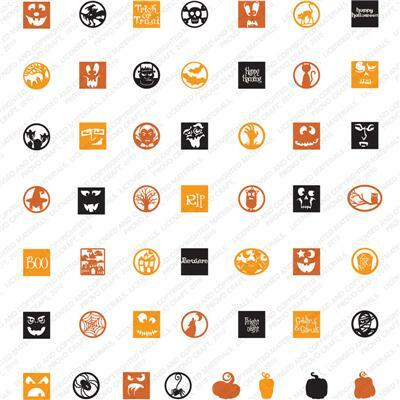 Cut out the face you would like to use and use it as a stencil on your pumpkin. Mod podge over the top of it all and add a ribbon as your “leaves”. **I also like to use these blocks for pictures as well, they are fun to have! This is just another fun idea to use with your cartridge. 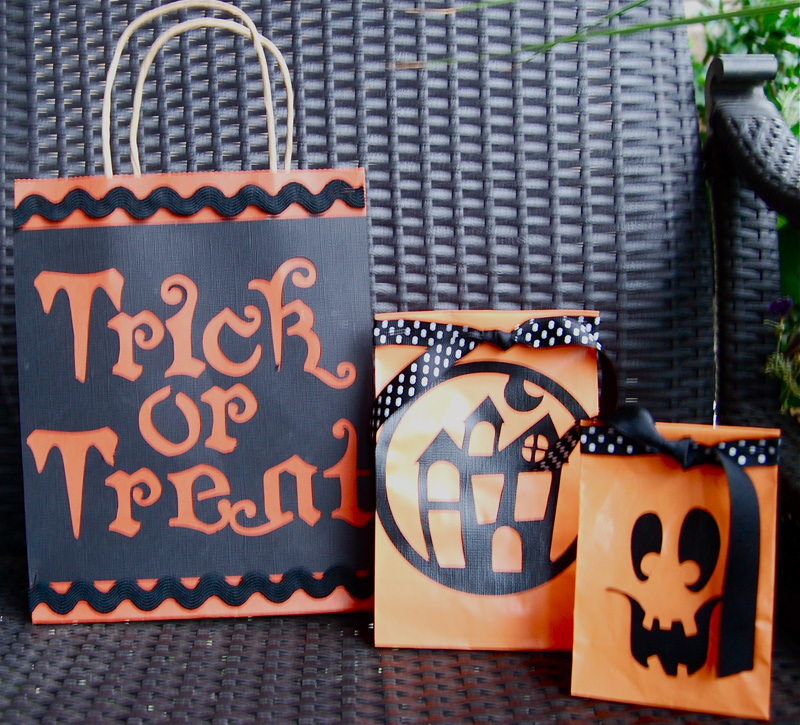 You can add ribbon to a fun inexpensive bag with a cut shape from your cartridge and you will have the fanciest classroom gifts for halloween! Here are some detailed pictures of other fun shapes available on this fun cartridge! Love the jar! Where did you find the glitter spider?